Last post about dog tags, I promise. After a lot of thought, a lot of back and forth, a lot of opening and closing of my laptop, I think I have finally decided on a tag for Shiva. I think she has earned the title. Yesterday was the third class in a row in which Shiva stayed with me the entire time. Something has clicked in that nutty brain of hers and she doesn’t feel the need to go zooming for other people’s bags any more. The next step is to test her in new locations with new distractions. And then after that? Perhaps a real live trial will be within our reach. It’s hard to guess. I may be saying something different tomorrow. 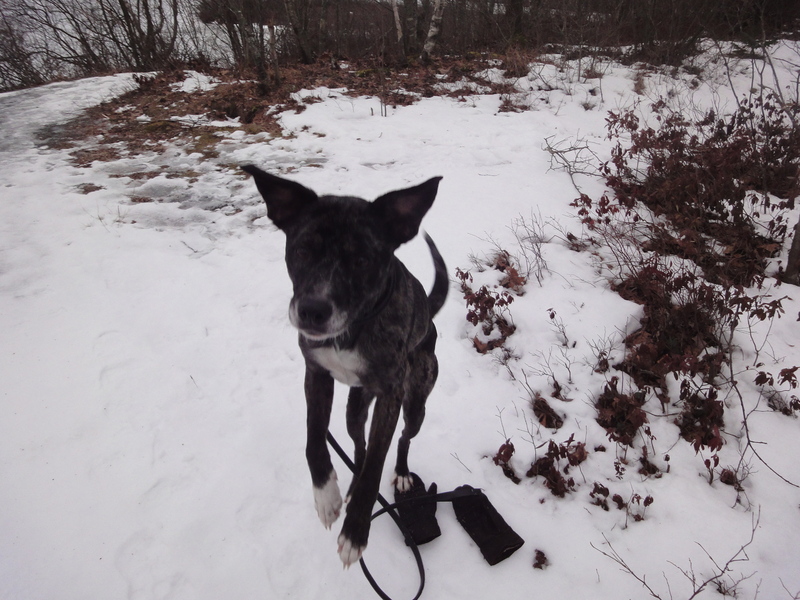 But today, Shiva is my Wonder Dog. Hope everyone is enjoying their weekends! I think that tag is perfect! That is a nice tag! Love the stars. Perfect! Tanner and Oliver approve. They think they are wonder dogs too. 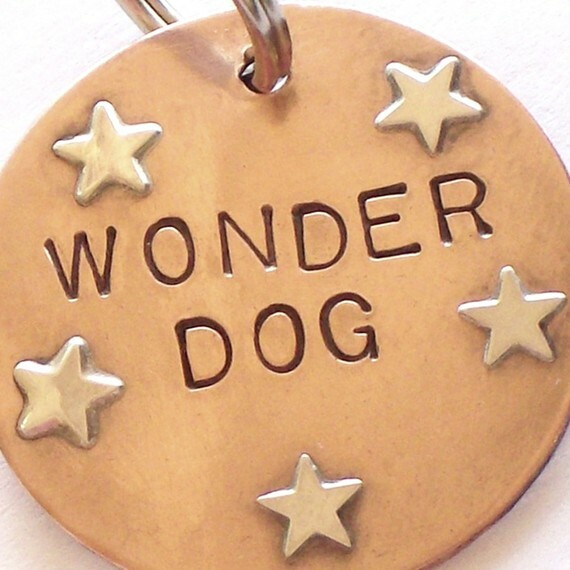 Speaking of wonder dogs, will Shiva be participating in the #Super Dog Sunday Blog Hop? Sure do hope so! My dogs have always had both tags and microchips (one additionally had a tattoo) but most of them have been very hard on tags (banging them into or catching them on stuff) so I have hesitated to get them custom tags. Awesome! I love that tag! Congrats on the progress and I hope you can start going to trials (so I can read about them LOL!). Fab tag and Shiva deserves the title. 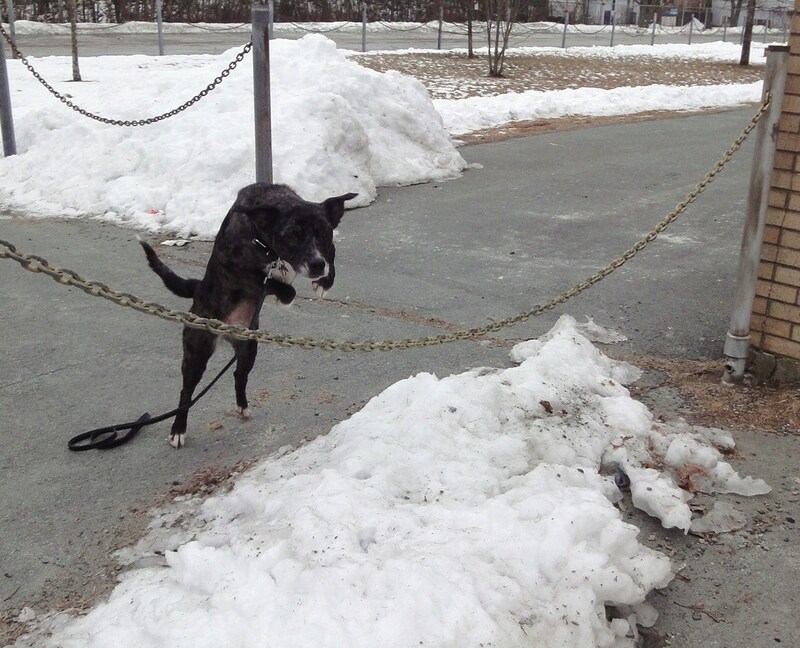 A wonderful tag for a wonderful pup! Good choice! Wow she prefers you above the other distractions! How cool is that ?! That is a major accomplishment for every dog owner, congrats ! Thank you! I wouldn’t say I trust her completely but it is a huge step! That tag is awesome! I am sure that she’ll live up to it, too! What a beautiful tag and as you note, it says volumes not only about Shiva but about the work and care you and your PH have given her. Perfect. Great tag choice! It will look lovely on her. First, congrats on Shiva coming in to her own. That is fantastic! Second, Love the tag! Will the inscribe her name on it too? I think it’s awesome. I’m just wondering if I need to get one for Daisy now. Hmm…. What a beautiful tag 🙂 Shiva surely deserves it. She has come a long way. Well done to you! Way to go, Shiva! Great choice on the tag! Good job Shiva! You’ll soon have your human trained!